Driving from Albury/Wodonga we are straight down the end of the Kiewa Valley Highway. Just before you head up the mountain to Falls Creek. Newly renovated, the Mt Beauty Motor Inn offers exceptional Mount Beauty Accommodation. Located at the base of the mountain and only 100 metres from the shopping centre, restaurants, clubs, swimming pool, river, parks and town facilities, makes this an ideal holiday venue for couples, families or groups. Guest laundry facilities and ample onsite parking is available along with their friendly and professional service. 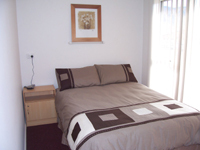 So for comfortable and affordable Mount Beauty accommodation the Mt Beauty Motor Inn is perfect. Open all year round, this great value Mount Beauty accommodation is only 30 min drive to Falls Creek Ski Resort offering all year round facilities for trout fishing and boating in the summer and skiing & boarding during winter. More than 7 days notice of cancellation- Full refund of deposit. Less than 7 days notice of cancellation- 50% refund of deposit.